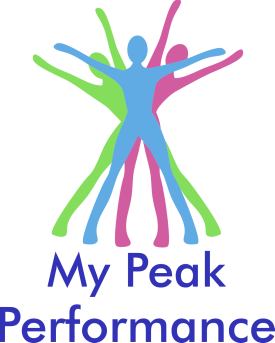 Simon is the Director & Senior Physiotherapist of My Peak Performance Physiotherapy & Pilates. He is an experienced Physiotherapist who has a dedication for musculoskeletal and sports Physiotherapy. His treatment philosophy is based on a hands-on approach with an emphasis on exercise prescription and rehabilitation. Simon understands the importance of listening to his clients and understanding their goals, and in doing so will dedicate himself to achieving these as quickly as possible. He always delivers his treatment with a smile, witty nature and loves to have fun while helping his clients. Simon is an active member of both the Australian Physiotherapy Association (APA) and its sub-branch Sports Physiotherapy Australia (SPA). Simon has a passion for teaching and has shared his knowledge through online company Learning Fever, tutoring for the Sports Physiotherapy Association, as well as presenting at the 2017 Annual GP Conference in Sydney. Jessica is our Master's qualified Physiotherapist and Pilates instructor. She has a dedication to a hands-on and exercise-based approach for treating all of her musculoskeletal and sports Physiotherapy clients. With vast sporting experience herself, Jessica specifically tailors her treatment plan to meet her client's goals and help them reach these as quickly as possible. Jessica combines her Pilates training with her Physiotherapy treatment philosophy and loves to see her client's progressing from Physiotherapy to Pilates, therefore continuing the long-term benefit of her approach. Jessica has a bubbly and enthusiastic personality with great communication skills allowing her to educate and teach her clients. She has a passion for strength training and Powerlifting in particular, having competed in various competitions herself. Jessica enjoys treating fellow athletes looking at gaining more strength, improving their technique or managing their aches and pains. In her Spare time, Jessica regularly trains and competes in OzTag, having made representative honours playing OzTag at both state and National levels. Georgie is an intelligent and hard working Practice Manager. Georgie is the key to keeping the whole show on the road. She will greet you with her effervescent smile as you walk through the door and see that all your needs are met while attending My Peak Performance. On the phone her delightful nature will ensure that booking an appointment is easy. Georgie is a qualified Registered Nurse and Aged Care Worker. She brings with her knowledge and experience dealing with a wide range of health related issues and working with clients on a daily basis to help them reach their health goals. In her spare time Georgie loves to read Harry Potter books (don’t get her started), bake and cook, socialise with friends and look after her adoring cat, Tilly. Georgie will put a smile on your face as you enter or leave My Peak Performance!